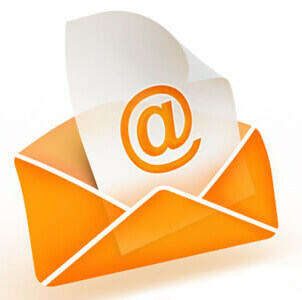 Home » Marketing » Does Email Marketing Work? As any business owner knows, its easier and less expensive to sell to a returning customer than to create a new one. 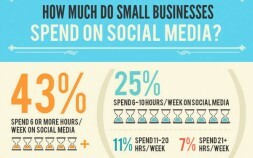 Knowing this, what is the most efficient, and cost-effective way to stay in touch with your customers? 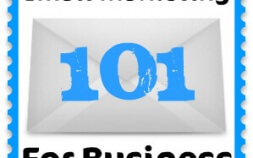 The answer for many, is email marketing. Email marketing is one of the most powerful ways to stay in contact with past customers and clients. The costs are minimal, it doesn’t require a lot of extra time or effort, and if done correctly the results can be outstanding! Traditional advertising and direct mail marketing typically required a “push” strategy, where a business owner would place an ad hoping the target audience would see it and take action, or buying a list to mail to, and hoping it would get opened and read. With email marketing, the list is derived from customers “opting in” to receive communication from the company, which is a “pull” strategy, or permission based form of marketing. Because the consumer has asked to be marketed to, they tend to be a more loyal customer who is likely to purchase more often. This is why email marketing is so powerful. Its an opportune way to stay in touch with past clients and customers, ensuring you’re in the front of their mind when the need for your product or service arises. I’m not talking about spamming their inbox every day with the latest news you have. That’s the quickest way to turn a happy customer into an annoyed ex-customer. I’m talking about real communication with past customers who have signed up to receive your email newsletter or updates. Quality, not quantity is key here. All of these companies produce a quality product, but my personal favorite is Convert Kit. They have the functionality of Infusionsoft and simplicity of use of Mail Chimp. They can also pull in an RSS feed from your blog to automatically update your subscribers whenever you write a new blog post. Since every business is unique and has individual needs, you may want to check out each of the above services to see which one is the best fit for your business. When used in conjunction with social media, email marketing can be one of the most effective and economical ways to stay in contact with past customers, and to create loyal, returning customers, which every business owner wants more of! If you’d like to learn more about the email marketing strategies and services we provide, contact us today!